Planning a corporate event? An off-site Board of Directors meeting? Or just wanting to reward and motivate the crew? Let us assist you! We will help you find your ideal venue and make your corporate event a unique happening. Our tight-knit crew of professionals is devoted to supplying only the very best Italy has to offer. Strategically based in Florence, 100% Italian and perfectly English speaking we are zealous, highly imaginative and tireless. And, we know our country by heart… from the frescoes to the 50-seater coach logistics! 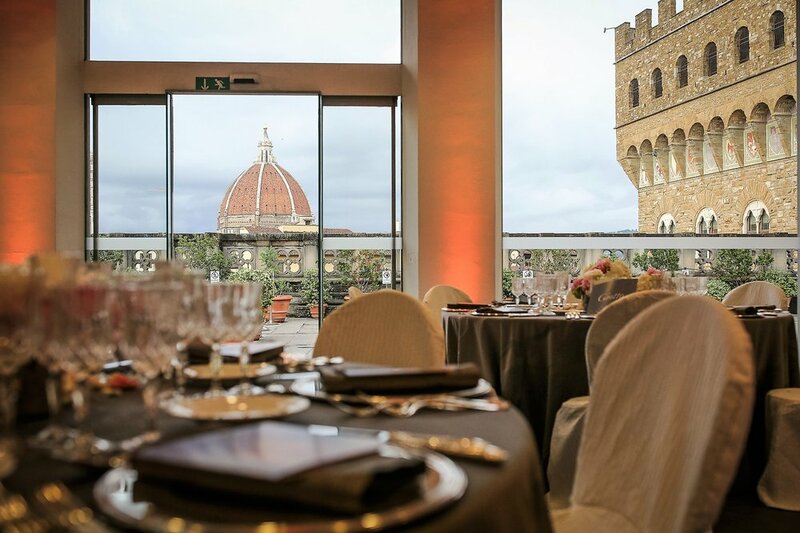 Blessed with awe-inspiring panoramas, breathtaking art, superb venues and a myriad of captivating activity options Italy is the ideal background for any corporate event, from productive retreats and luxury Board of Directors meetings to conferences and employees get-togethers. Successful companies are well aware that corporate events bring renewed energy, and great benefits, to their businesses. Whatever the reason for the event, location is key. It has to be alluring, inspiring, and extremely comfortable. It needs to alter participants’ perspective, to boost imagination and promote fellowship. Also, studies show that being in contact with nature and art enhances creativity and promotes issue-solving capacities and captivating settings are essential for effective product launches. Our extensive experience as a private travel designer specialized in custom-made vacations and parties for the extremely wealthy and high-minded allowed us to practice, perfect and polish our skills. Daily challenged by the exacting standards and demands of a discerning clientele we sharpened our talents, becoming quick and deft solution-finders around the clock. These wide-ranging skills, and versatile creativity, serve us well in meeting the significant expectations of corporate event planning. Top-notch executive meetings in private palaces, team brainstorming sessions in select Spa resorts and unforgettable dinners in world-celebrated museums. Thanks to our know-how and extensive network of dedicated premium suppliers, we are able to provide any kind of service and successfully plan and manage flawless world-class corporate events of all kinds anywhere in the country. A stimulating team scavenger hunt in Rome’s lively piazzas? A Supertuscans tasting led by an award-winning vintner for high-profile directors? Just let us know what you need, we will offer a rainbow of possible solutions! Eager to lead our clients to explore Italy’s authentic heart and soul we are masters in venue sourcing and logistics’ management, and we delight in creating “off the beaten path” activities and exhilarating team-building challenges. Committed to providing our clients with picture-perfect service, we guarantee highly creative solutions and painstaking attention to detail. Meeting your expectations is our mission. See some of our ideas in our Inspirations.